See for yourself why La Jolla has earned a reputation as one of San Diego's most gorgeous and high-profile locales on an afternoon sightseeing tour. Travel from downtown San Diego to the upscale coastal enclave known for its stellar seaside views and rowdy sea lion community, plus extravagant Spanish-style mansions and famous residents. 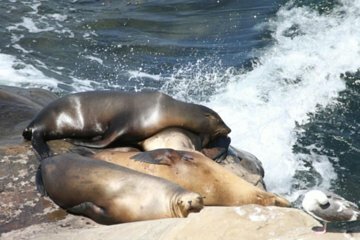 Browse the luxury boutiques of La Jolla Village, explore the marine life of a legendary cove, and take in views of the coast from a mountaintop lookout on this small-group excursion.